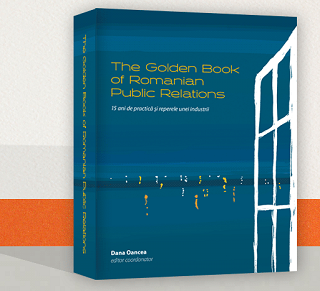 PR Romania launches today a series of interviews featuring insights from some top international PR leaders and practitioners. The first contributor is Marshall Manson, Managing Director of Social@Ogilvy for Europe, Africa and the Middle East, and a leader in the field of online strategy, social media marketing, and digital communications and reputation management. I’m not sure the definition of innovation should vary by industry. For me, innovating means taking risks and experimenting with new technologies, insights and ideas to deliver something better. In any agency, there has to be a healthy tension between experimentation and watching the bottom line. The economic problems of the last few years have forced agency leaders to focus more – and probably too much – on protecting their own bottom line. Expectations around billability are higher than they have ever been. There are often fewer employees delivering more work for clients at lower fees. As a result, there’s less time and space for thought, stimulus and inspiration. And that means less innovation. Unsurprisingly, the companies that have protected time and investments in order to innovate aggressively are, more often than not, the ones that have found continued success in spite of the negative economic climate. 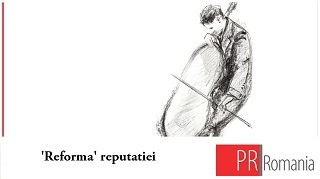 PR has a heritage of rejecting specialization. Everyone is expected to be equally good at account management, creativity, strategic thinking, budgeting, copy writing, and pitching media. But people who are truly gifted in all of those areas are few, while people who are gifted in one area or another have a hard time thriving over the long term in the master-of-everything, expert-in-nothing climate of most PR firms. To succeed and thrive, PR firms must embrace specialization, and even use it as a force for innovation. PR firms need more strategic thinkers, gifted creatives, analytics and data specialists, experts in behavior change, and even neuro-scientists and anthropologists. Implementing this specialization will require new management structures and more sophisticated approaches to agency culture and conflict resolution. The obvious answer here is digital and social media. And indeed, there is lots of innovation in this area. This is natural for the PR industry, as its heritage is in engagement and conversation. But the natural advantages are starting to erode, and others in the marcoms industry are catching up, most notably, digital and media agencies. But arguably, there is equally interesting work happening in the area of behavior change. More and more, clients are asking PR to be at the forefront of campaigns to change how consumers behave with help and support from the brand. (For example, Unilever’s Project Sunlight campaign.) By bringing in the best thinking from specialists like the neuroscientists, anthropologists and others that I mentioned before, PR is in a position to innovate rapidly, and really make a difference for our society. That’s genuinely exciting. It’s very hard to say. From my perspective, the ability to attract staff with real entrepreneurial gifts depends largely on the culture of a specific firm. Some firms are far more welcoming and accommodating to entrepreneurial spirits than others. It also varies from one country to the next, depending on how the PR industry is viewed in the market. Some are, some aren’t. There are still too many PR firms who believe that there role is simply to talk to the media. But digital technology is slowly strangling the media industry, so what will PR do when it’s gone? There are also too many agencies still relying on old metrics, rooted solely in media performance. For PR to maintain its relevance, it has to start delivering results that even the CFO can love. That means a greater sensitivity to business needs, business objectives and business outcomes. 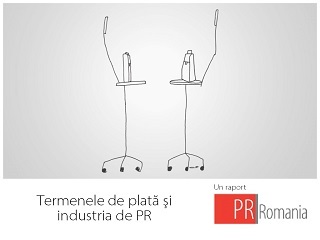 PR may also need to rethink its business model. With clients continuing to exert strong pressure on margins, the industry needs to develop new pricing and fee models that allow more space and time for innovation and entrepreneurialism. The industry also needs to do a better job of educating its clients about the value of the services and time it offers. Only when clients see the value in the innovations that a product of time and space to think, will they be willing to pay for it. Marshall Manson is Managing Director of Social@Ogilvy for Europe, Africa and the Middle East, and a leader in the field of online strategy, social media marketing, and digital communications and reputation management. Marshall has led global social media brand assignments for Unilever brands like Dove and Lipton as well as drinks brands Johnnie Walker and Captain Morgan. He has provided real-time crisis counsel to Diageo and Shell, as well as major corporates like Anglo-American and the BBC. Before joining Ogilvy, Marshall was Managing Director of Digital for EMEA at Edelman, the world's largest public relations firm. And prior to joining Edelman, Marshall worked in U.S. political campaigns and for several communications firms, including The Sterling Corporation, where his print and electronic media products were recognized with Communicator and Pollie Awards and featured in Campaigns and Elections magazine.